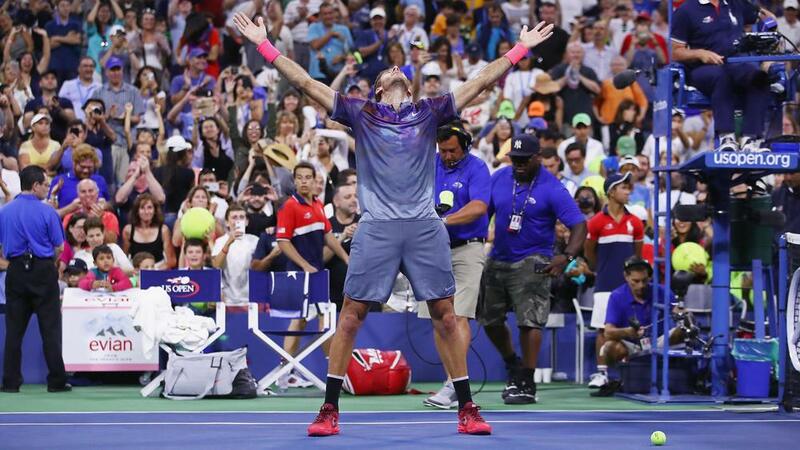 Juan Martin del Potro revealed he considered retiring during his stunning comeback win over Dominic Thiem in the US Open fourth round. Del Potro appeared set for a last-16 exit in New York as the sixth-seeded Thiem raced through the opening two sets in 73 minutes. The 2009 champion had battled a virus, but he fought back, saving two match points before securing a 1-6 2-6 6-1 7-6 (7-1) 6-4 win on Monday. Del Potro, who faces Roger Federer in the quarter-finals, said he almost retired during the second set. "I was thinking about retiring in the middle of the second set because I couldn't breathe, I couldn't move well," he said. "Dominic was dominating the match so easily. But then when we started the third set, I broke his serve very quickly, and then I won the set in 20 minutes. "Then the history changed a lot. I started to see the crowd. I took all the energy from the fans. That's what I did in the end, just kept fighting. "I didn't give up any points from the third until the fifth set. I was ready to win the match in that moment." In a blockbuster quarter-final, Del Potro will face Federer in a repeat of their 2009 decider, which the Argentinian won in five sets. Federer holds a 16-5 win-loss record against the Argentinian, but the 28-year-old Del Potro is looking forward to the battle. "I admire him, too. Everybody loves him," Del Potro said, with Federer having praised the 24th seed earlier. "It's going to be an interesting match to play. It will be after eight years again in the centre court of this tournament. "I know how to play if I want to win, but I will see how physically I feel after this battle. But always it's a pleasure to play the greatest guy in history."